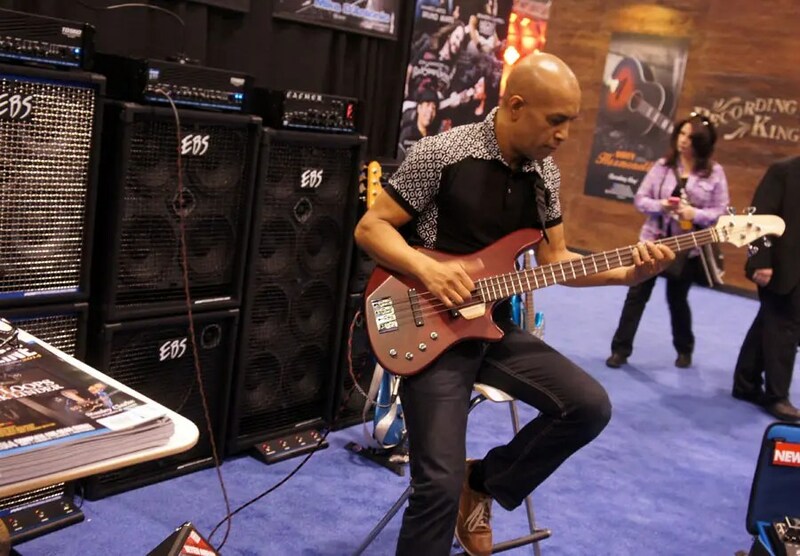 Home / EBS News / NAMM SHOW 2015 WRAP-UP! 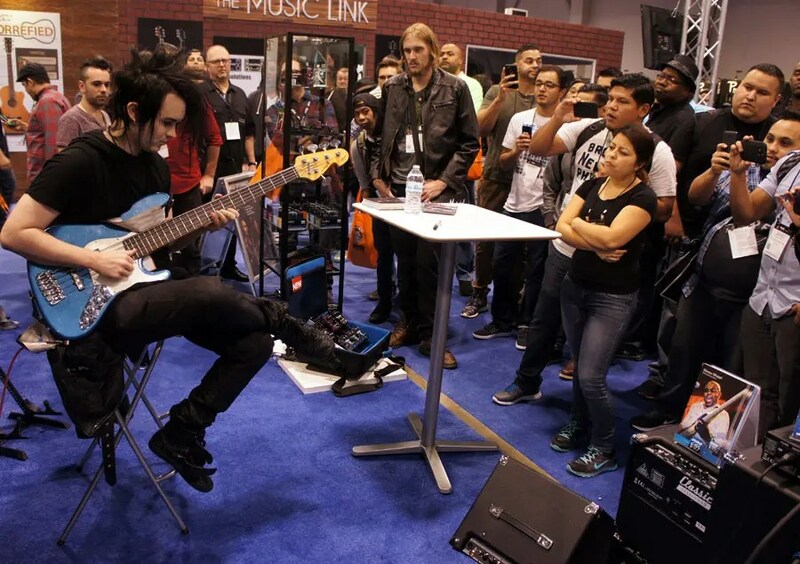 NAMM 2015 was a real treat! So great to meet all people and catch the overall positive vibe. 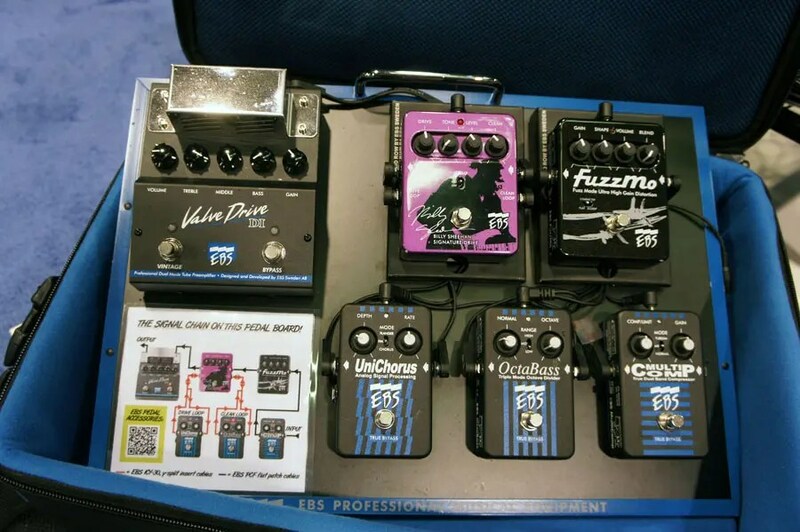 Over at the EBS booth, we presented two main news – the new improvements on the ClassicLine cabinets and Session combos, and the new pedal accessory the 2ND ROW pedal riser (also included in the new edition of the EBS CarryOn pedal board system). New from now on is the new front grille cloth (on all ClassicLine cabinets and Session combos) that improve the airflow considerably giving the positive effect of a clearer sound. 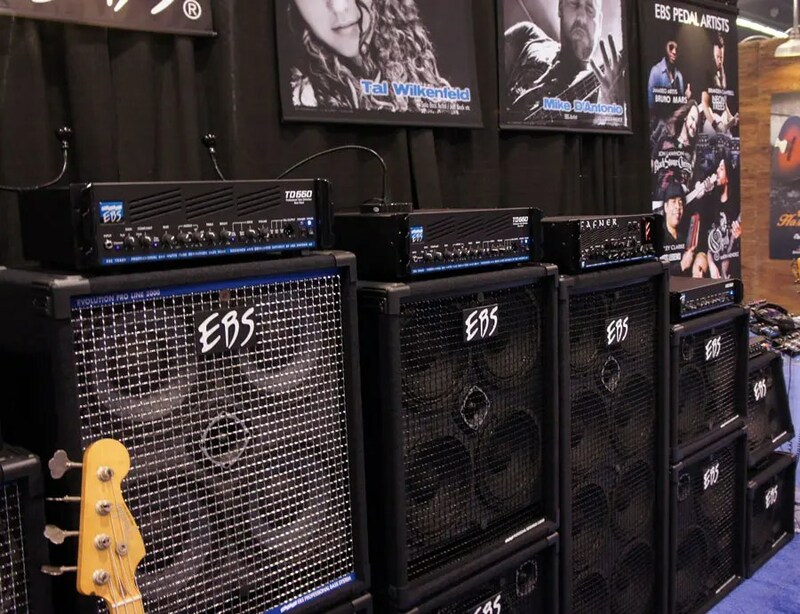 In addition, we have upgraded all the hardware on the ClassicLine cabinets, including heavy-duty corner protectors, heavy-duty removable casters on the 410 and 212 models, and submerged lock-in-place steel cups matching the footprint of the EBS CL500 amp on the 410, 212 and 810 models. New front on the ClassicLine cabinets and Session combos. 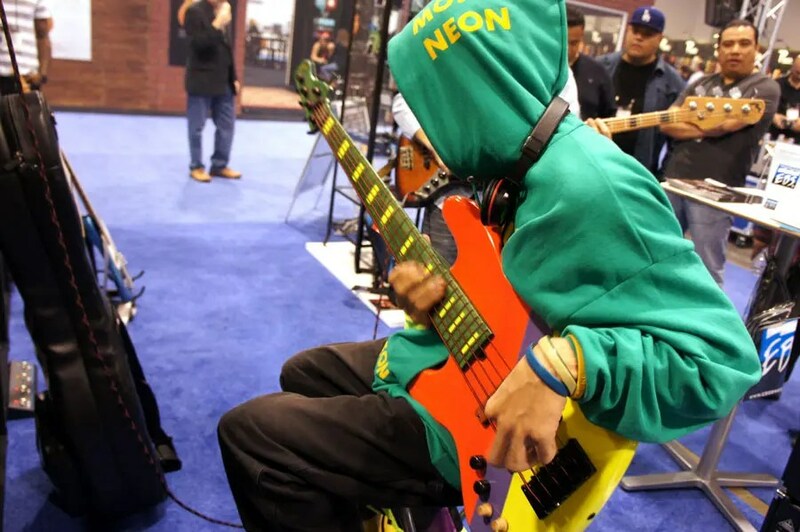 The 2ND ROW pedal riser put a new angle on an old problem, when rising the “2nd row” of pedals on your pedalboard to a higher level than the first, as well as in an comfortable angle so you can access them easier without interfering with the pedals on the first row. Add to that the design allows it to hide cables and make your setup neat and compact. 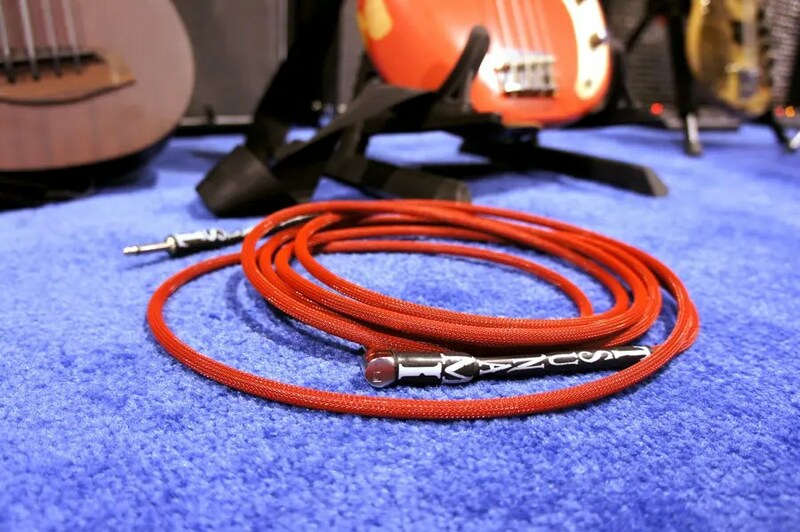 Speaking of cables, the highly successful flat and compact designed PCF patch cables are soon to start shipping from some of the major online stores in the US! 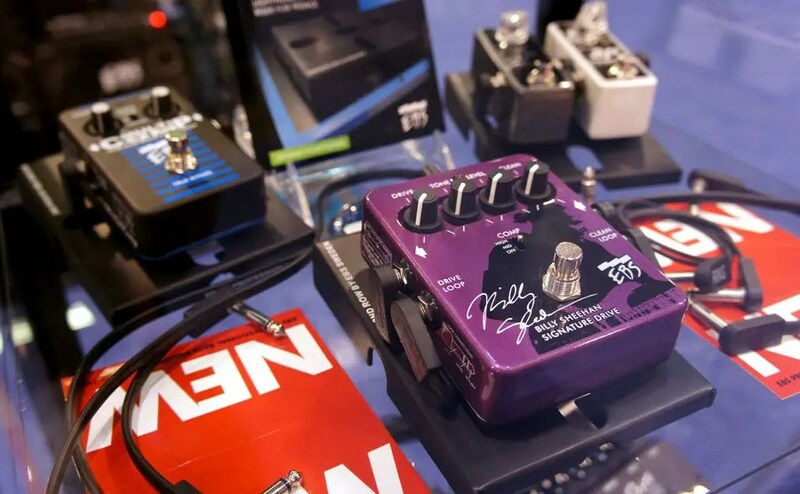 At a very attractive price, combined with the clever design – these are real space and money-savers for any musician building a pedal board, while maintaining the professional sound quality required. 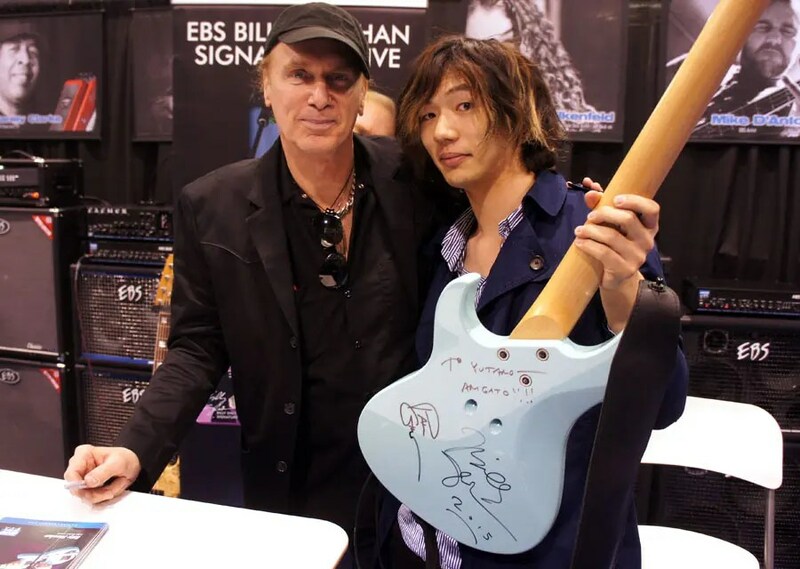 Added now also an insert “Y-type” cable to use with the loops on the Billy Sheehan Signature Drive. 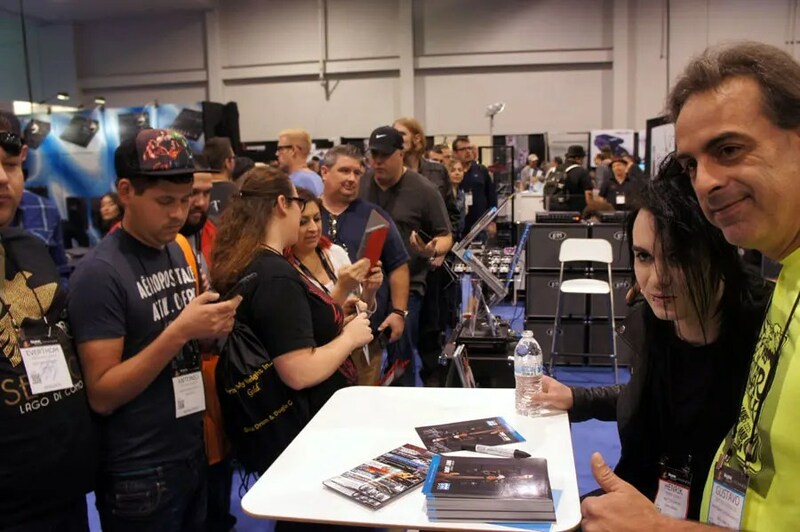 All signings this year went really well, lasting for an hour or more. 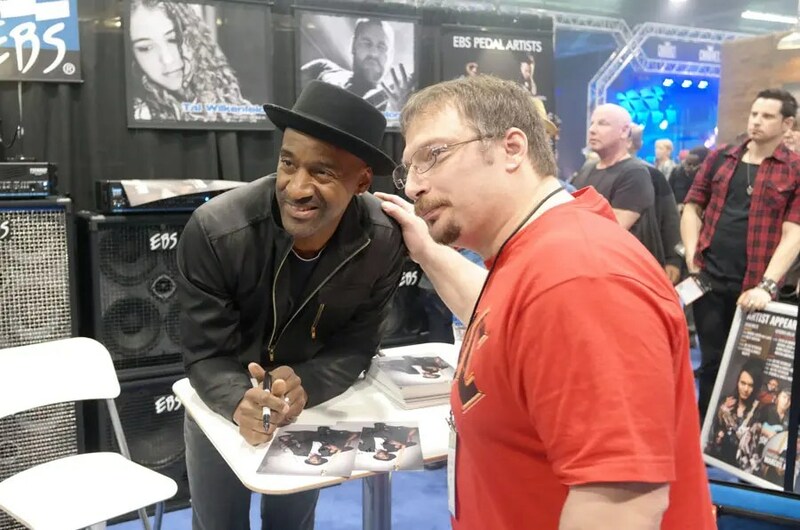 Already on Thursday, the legend himself – MARCUS MILLER – ended up spending two hours at the EBS booth from 4pm to the end of show. 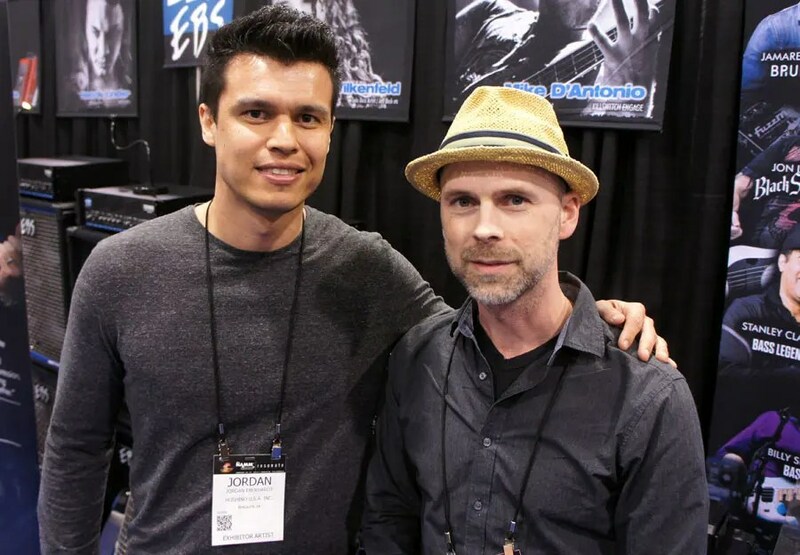 It was a great honor to have Marcus as our guest at the booth honoring the long friendship between Marcus and EBS. 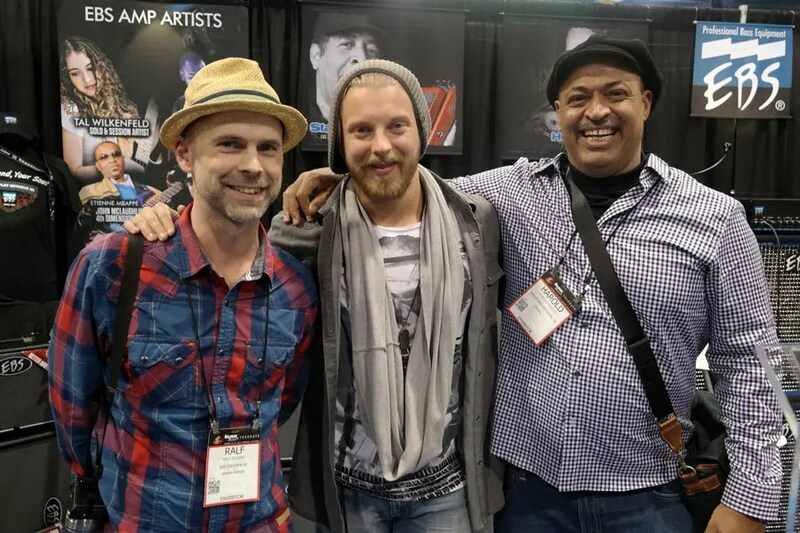 Friday was really intense starting with Dirty Loops HENRIK LINDER, who recently won Bass Player’s Young Gun Award, and also got the EBS 2014 Ambassador Award at the EBS annual dinner on Friday night, an award previously given to fellow bass players Jackie Clark and Billy Sheehan. 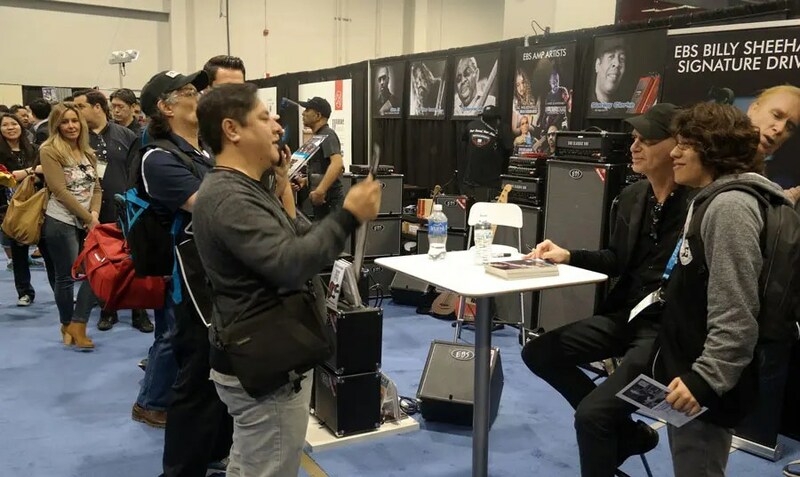 Speaking of BILLY SHEEHAN – he was next up on Friday with a 4 o’clock signing that was crowded and lasted for more than an hour. 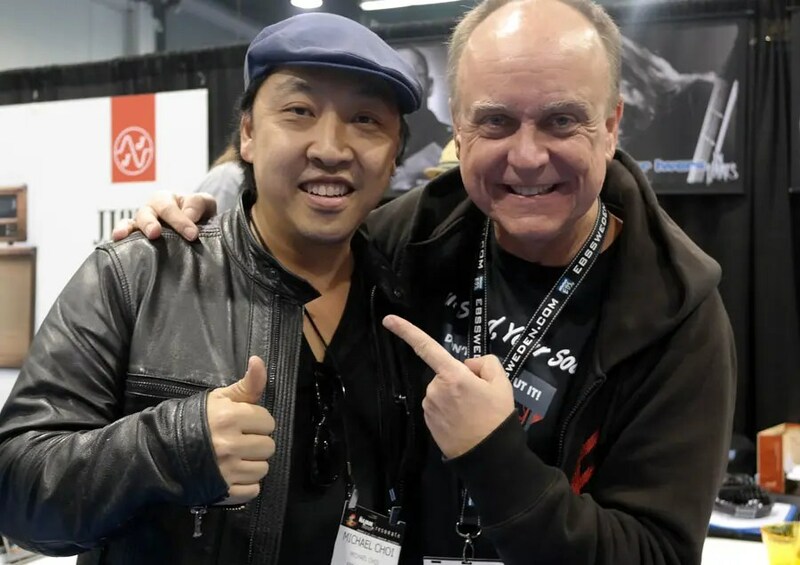 We appreciate the relationship with Billy a lot sealed with the making of his Signature pedal, that is now one of the top-3 sellers among EBS pedals! Last signing was on Saturday, when we had our annual Rocker’s Cometogether. 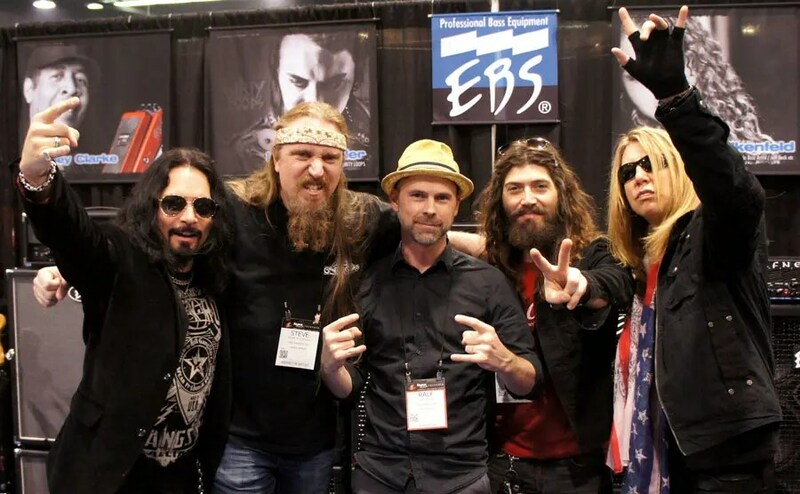 We are honored to introduce Testament’s and Death’s STEVE DI GIORGIO as a new EBS Artist, and Steve was joined by MICHAEL DEVIN of Whitesnake, BJORN ENGLEN of DIO Disciples and MARTEN ANDERSSON of Lizzy Borden. No question this was the most successful ROCKERS COMETOGETHER so far! 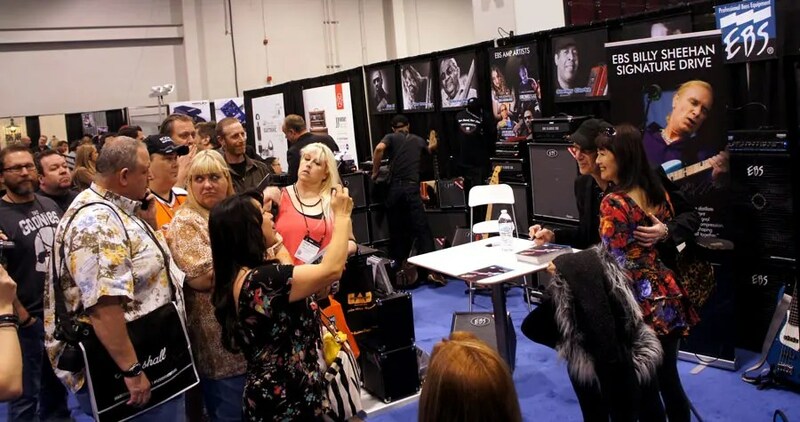 Henrik Linder from Dirty Loops signing event. Incredible talent at the booth! We are very proud of all artists that we have the honor to work with. 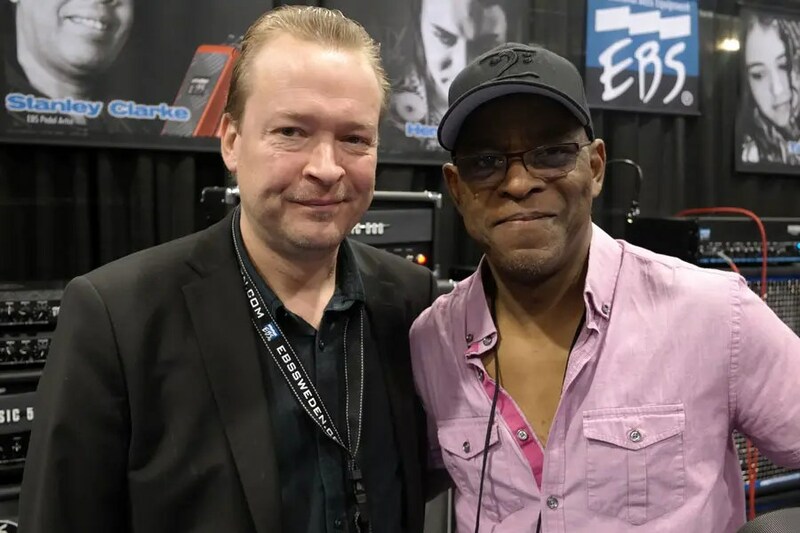 This year, we had ETIENNE MBAPPÉ with his son and also amazing bass player SWAELI, together with guitarist ANTHONY JAMBON performing as well as Dutch funkmaster and long time friend JAY-TEE TETERISSA. 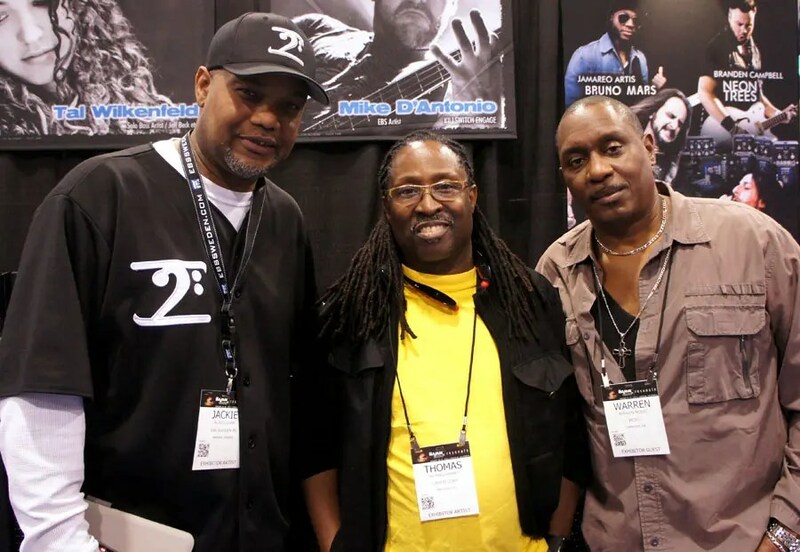 What an amazing level of musicianship these gentlemen possess – thank YOU guys! 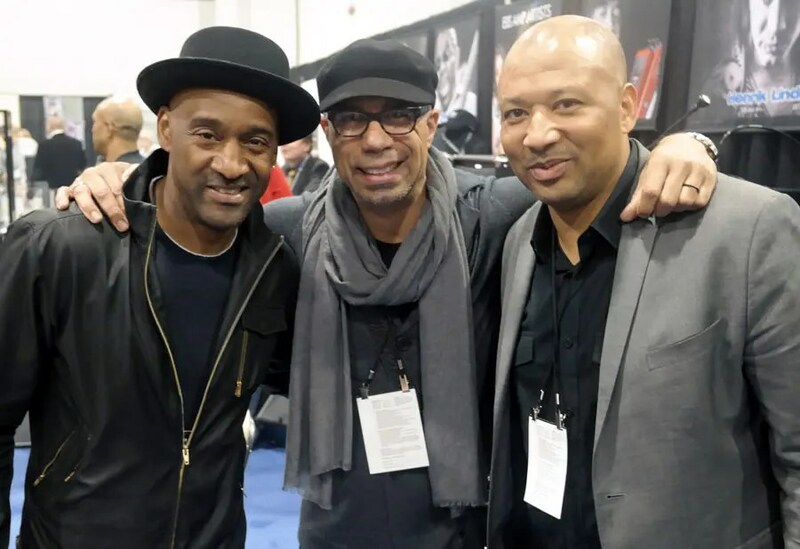 In addition, we saw Marcus Miller, Henrik Linder (who also played with DIRTY LOOPS at Korg’s soundbooth) and the unique Dywane Thomas Jr, aka MONO NEON play at the booth among others. It’s a privilege to get the chance to see all these incredible musicians play up close. Please, see the videos below so we can share some of that with all of you. 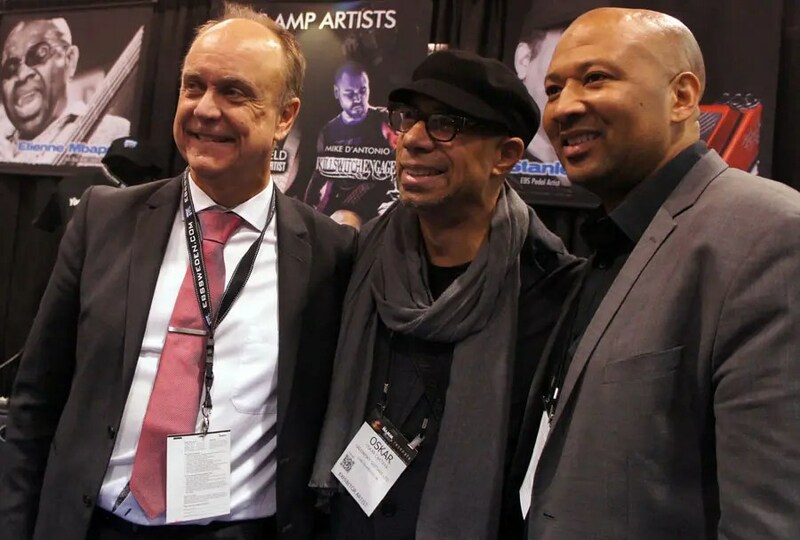 From left to right: Anthony Jambon, Etienne Mbappé and Swaeli Mbappé. EBS new accessories the 2nd Row pedal riser with the flat EBS PCF patch cables. 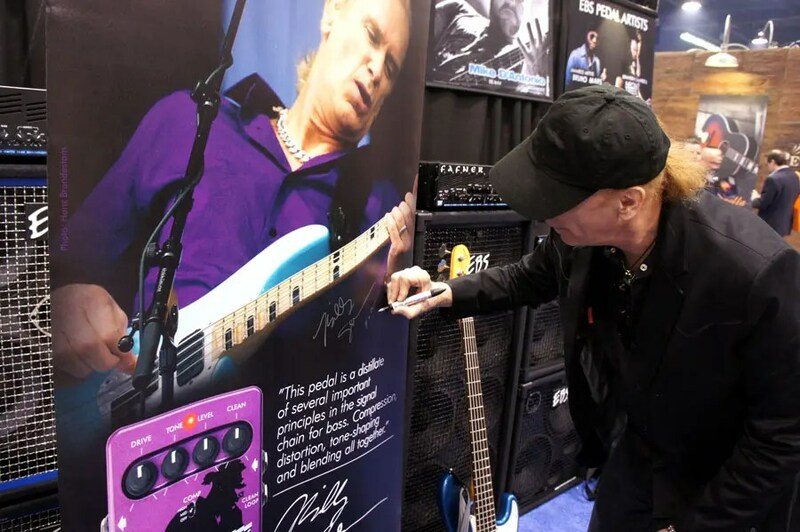 Billy signing one of his signature basses for a happy fan. 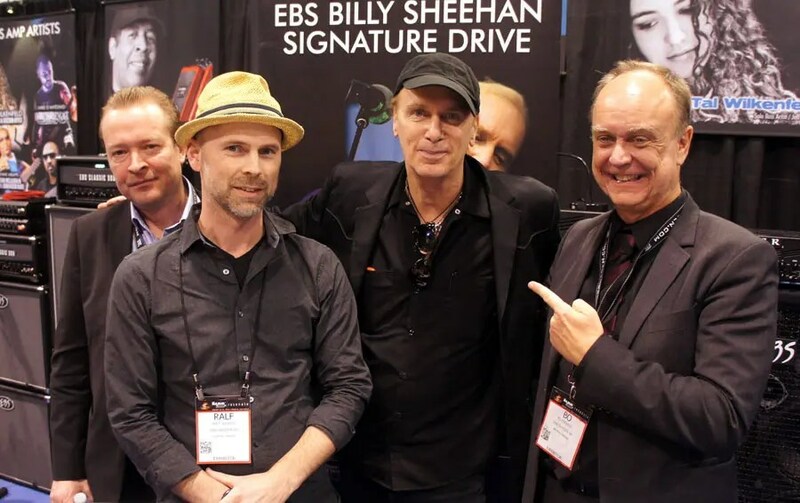 Ralf and Bo from EBS with Billy Sheehan. 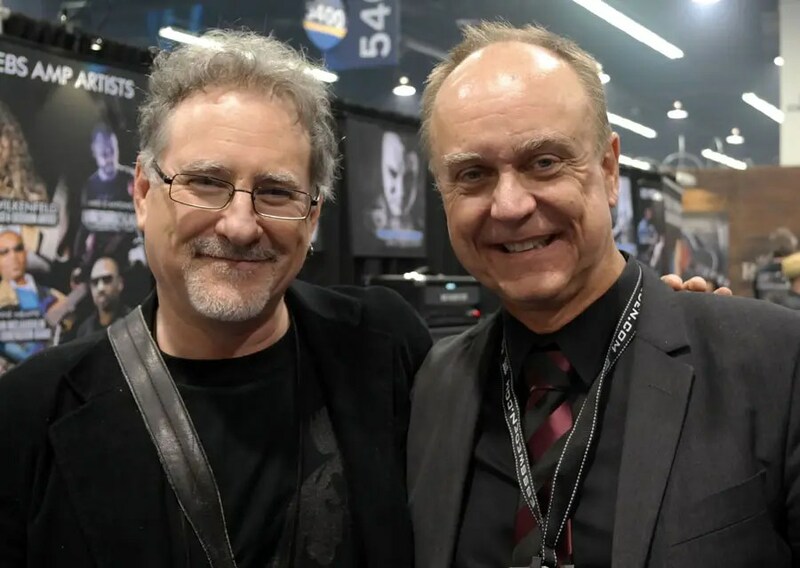 Brian Bromberg, bass player legend running the great bassonthebroadband.com online radio channel. 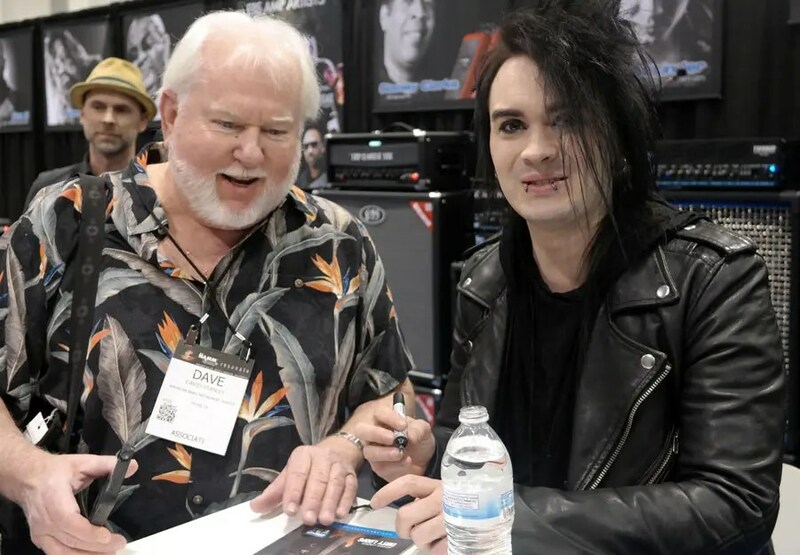 Another pic from Billy’s signing. Etienne & Swaeli – father and son. 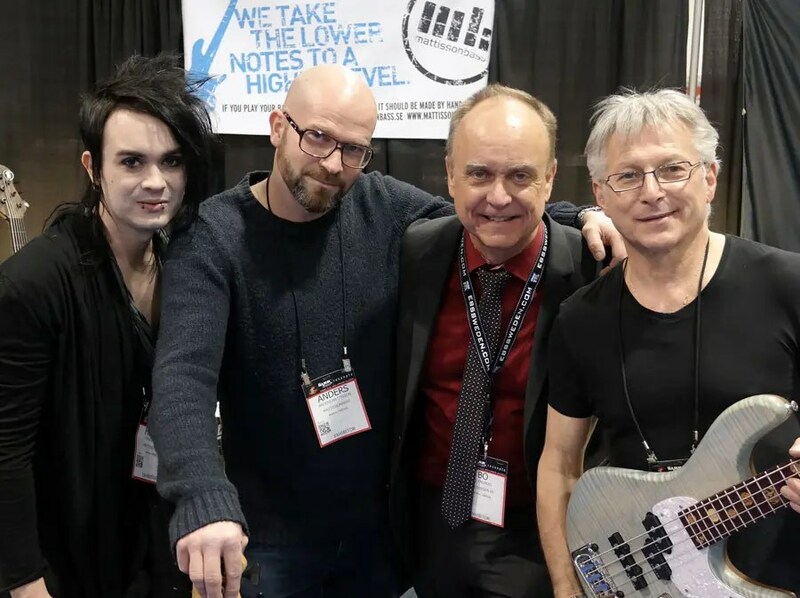 Henrik Linder with his Swedish bass builder Anders Mattisson, Bo and our friend Gorki. Jay-Tee Teterissa performed at EBS. Jordan Eberhardt from The Contortionist with Ralf. 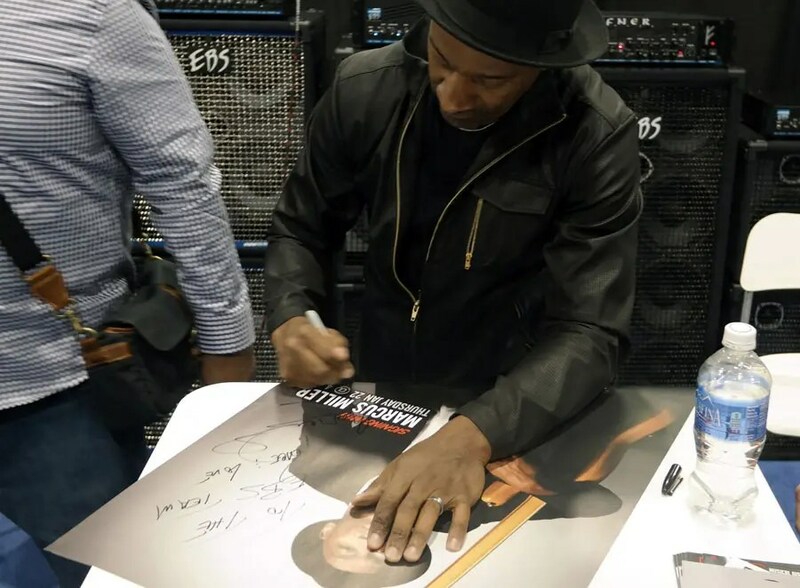 Marcus Miller signing at EBS. 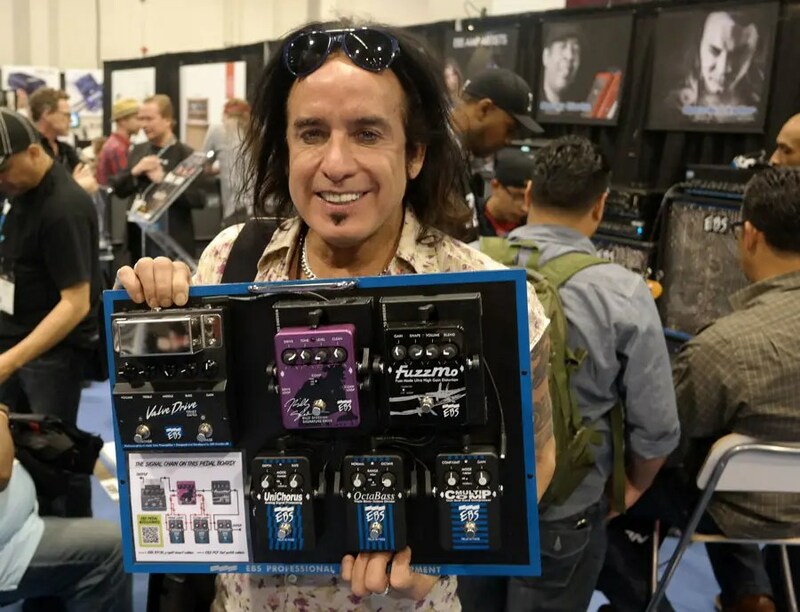 EBS Pedal Artist Marco Mendoza. 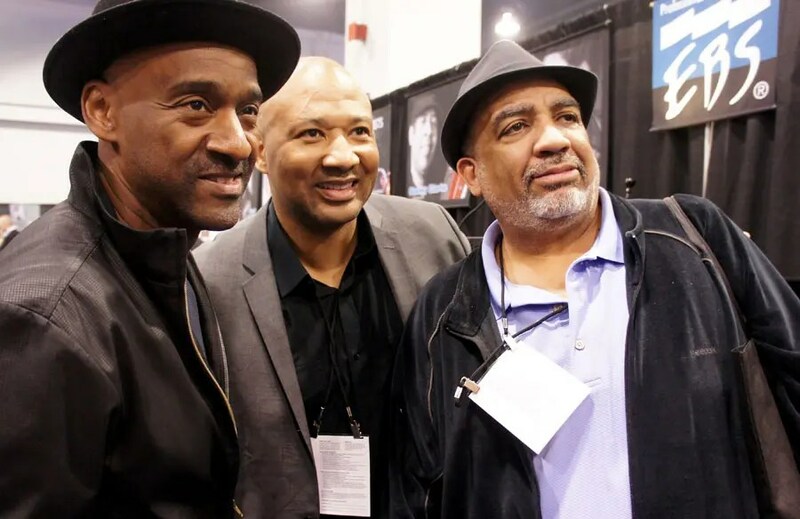 Marcus Miller with Alex Al and Alex brother. 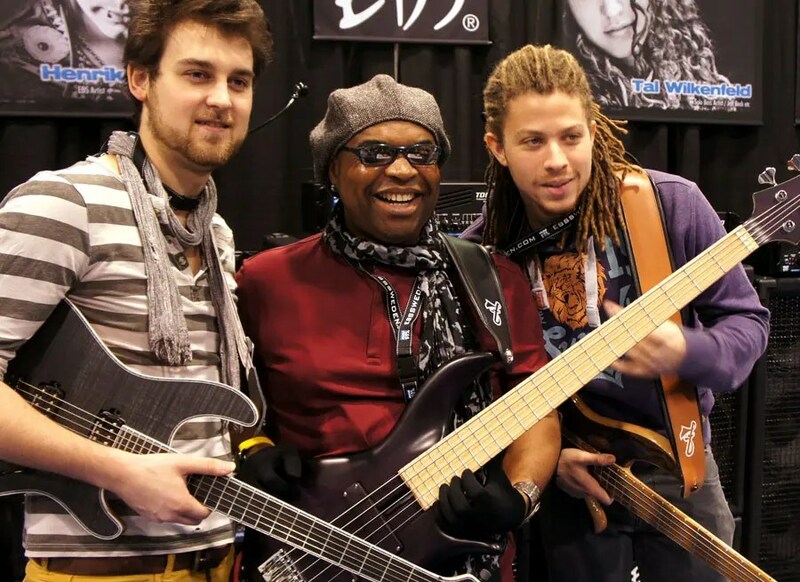 Marcus, Oscar Cartaya and Alex Al. Marcus Miller jamming at EBS until show closed. 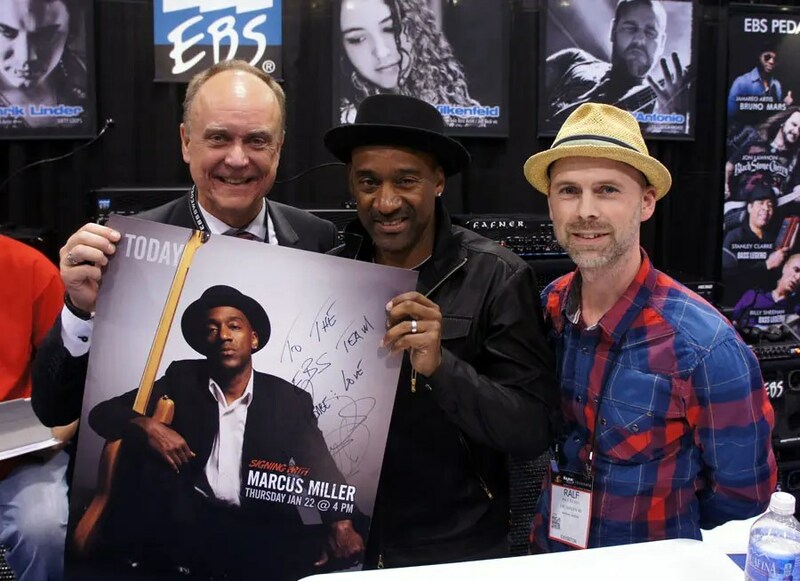 Bo and Ralf from EBS with Marcus Miller. 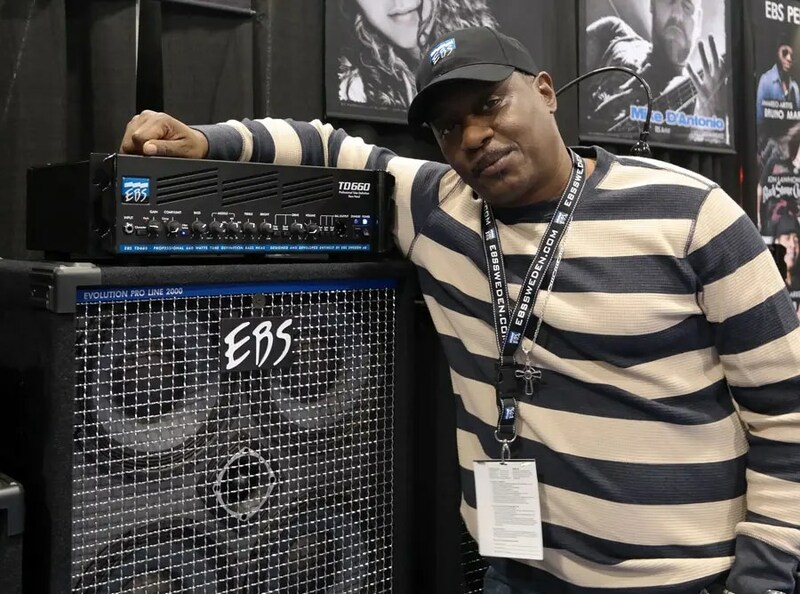 EBS Artist Michael Choi. 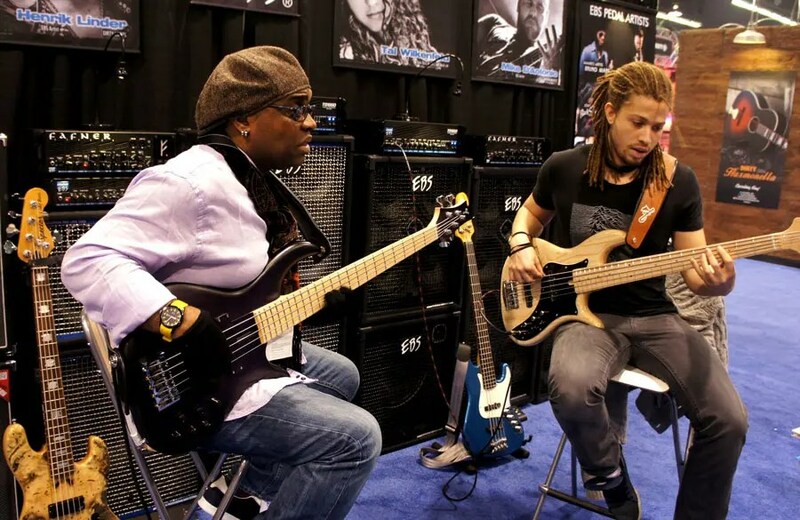 Check out his new app – Jammcard – a LinkedIn for musicians. 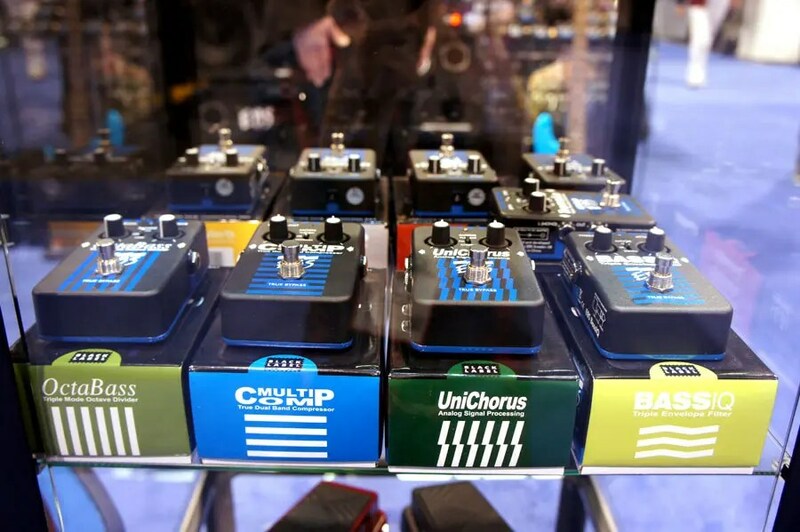 Big hit at NAMM! 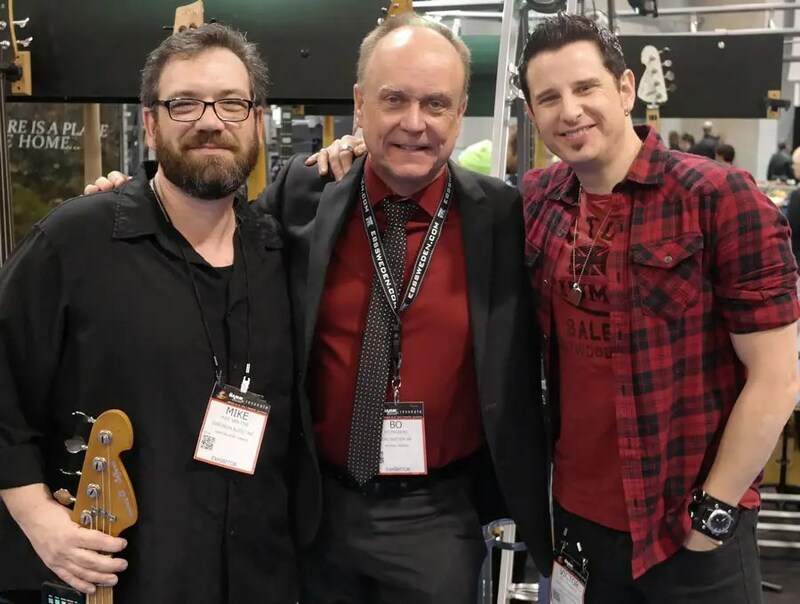 Mike Van Tine (Sandberg basses) Bo and Victor Broden. EBS ClassicLine 112s and Session 30s with the new front. EBS pedalboard from the CarryOn bag feat EBS patch cables and 2ND ROW risers. 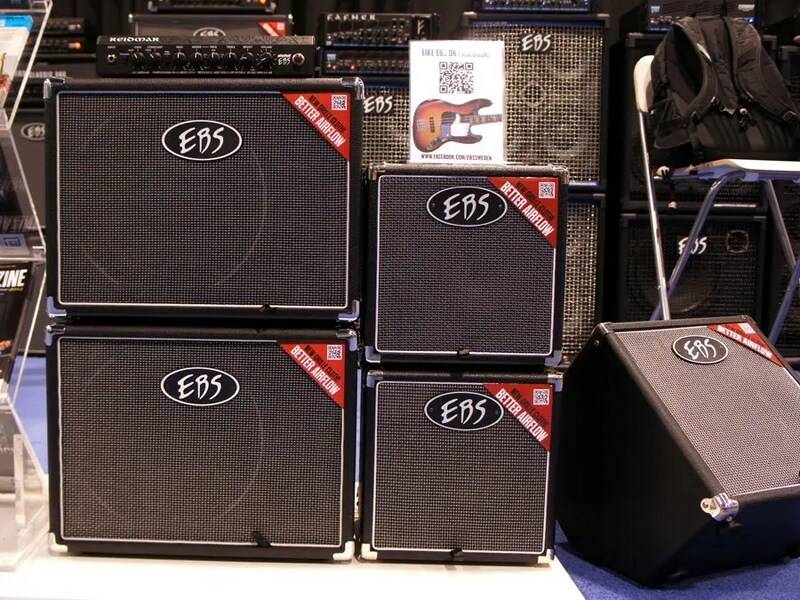 The trusted ProLine and NeoLine with EBS premium amps – all made in Sweden. 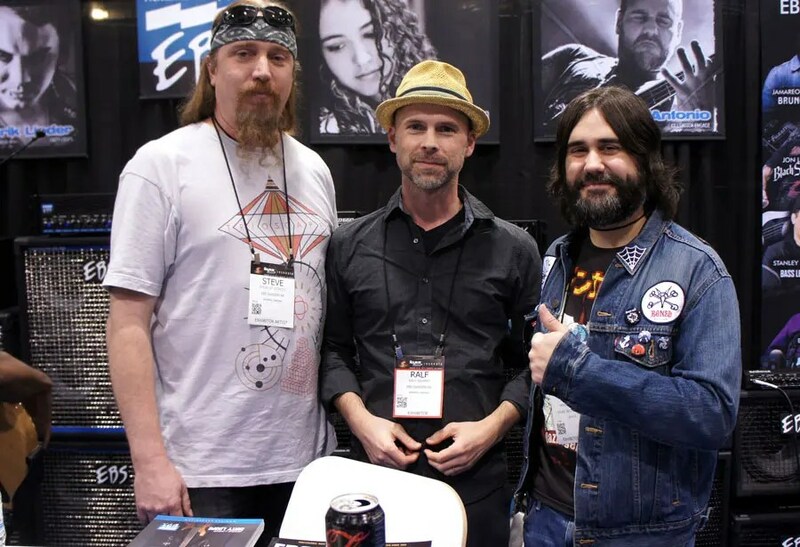 Ralf with EBS Artists Steve Di Giorgio (Testament/Death) and Mike D’Antonio (Killswitch Engage). 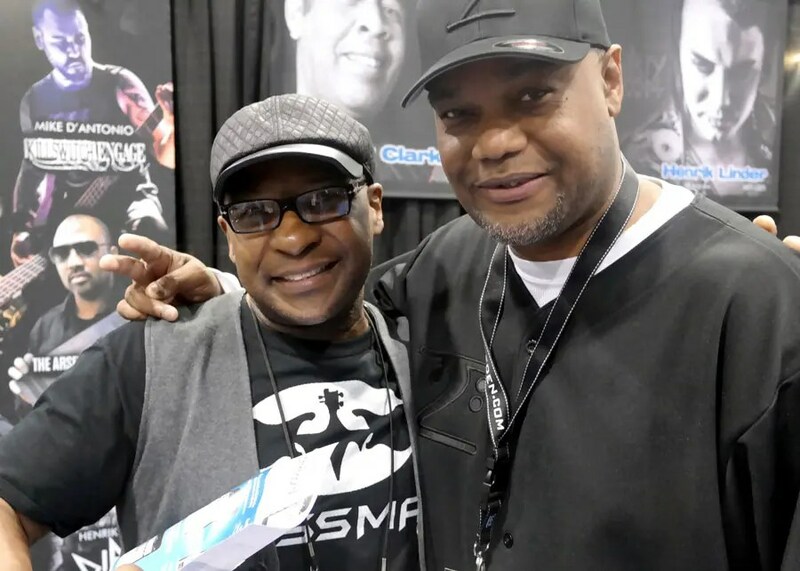 EBS Artists Tommy Brown and Jackie Clark. 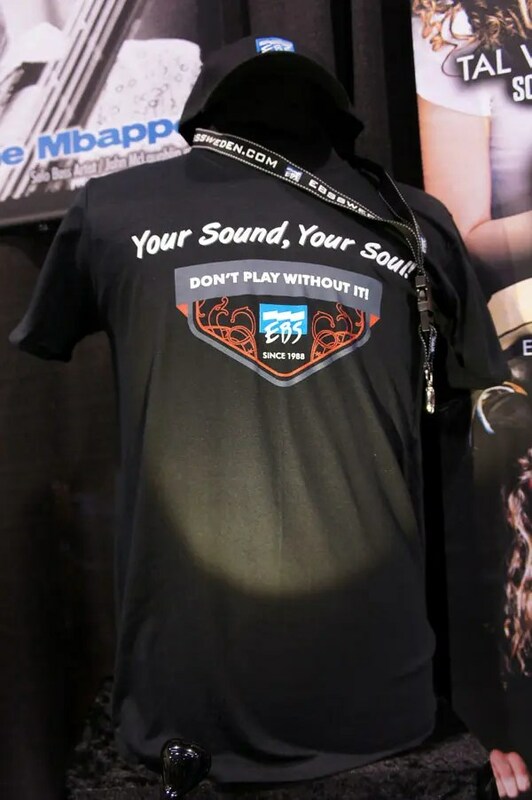 Your Sound, Your Soul – Don’t Play without it! Thank you Tsunami Cables! This one with the new copper core – excellent! 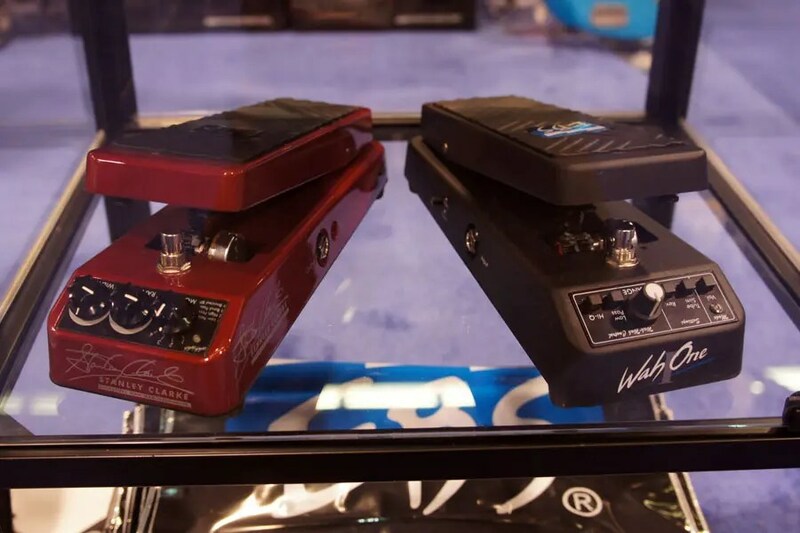 EBS Stanley Clarke Signature Wah and the Wah One pedals. 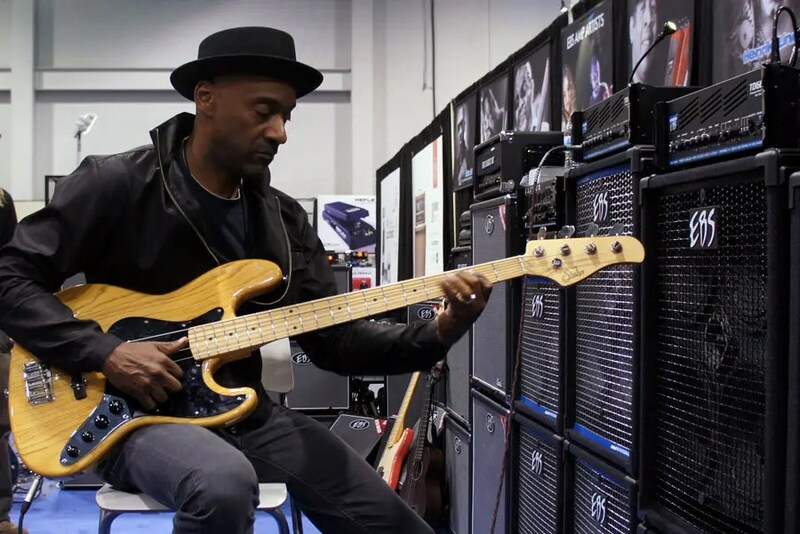 Tina Turner’s Warren McRae with the rig he used on the latest Tina Turner World Tour. 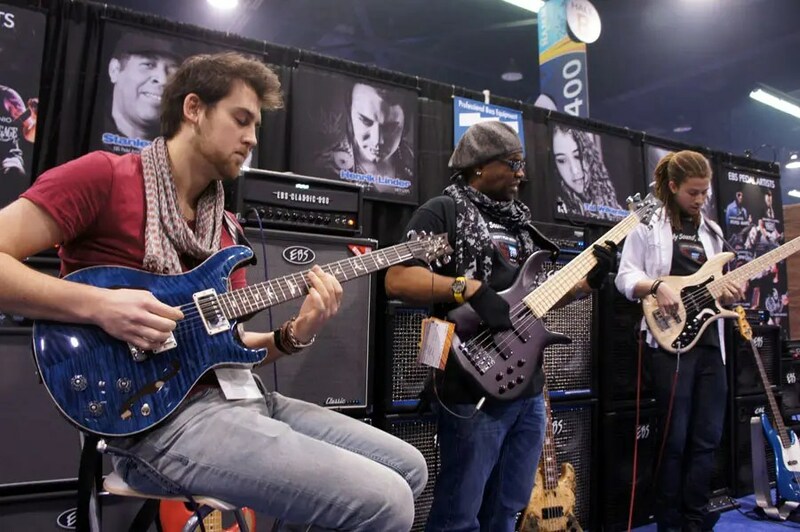 Our NAMM experience would not be the same without the help from the following companies that helped us with services and loaner equipment: Centerstaging and Lon Cohen Studio Rentals, Sandberg Basses, Spector Basses, Kala U-Bass, PRS Guitars, Tsunami Cables, Korg USA (for help bringing Dirty Loops to the show!) and not least our US distributor Musical Distributors Group! 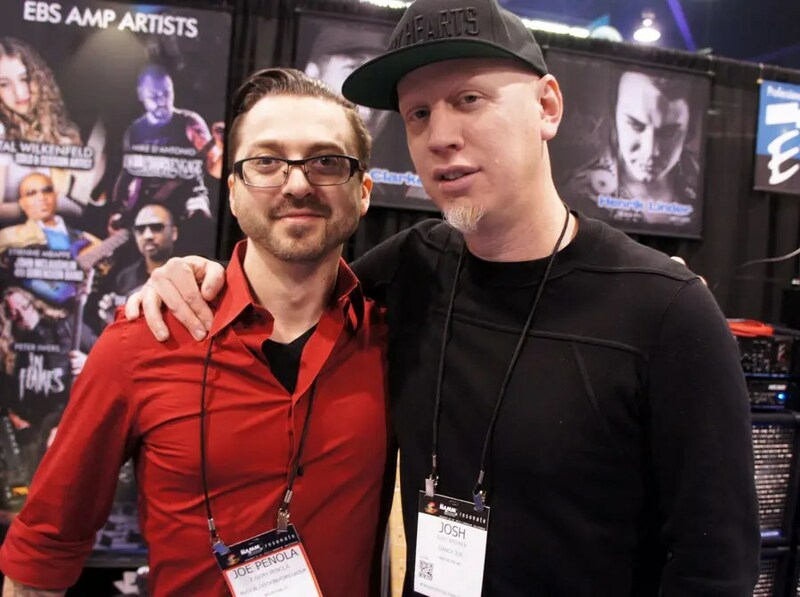 We would also like to thank all the artists mentioned above, including their associates Harold Goode, Chris Knight, Mike Faley and Urban Näsvall for make everything possible.